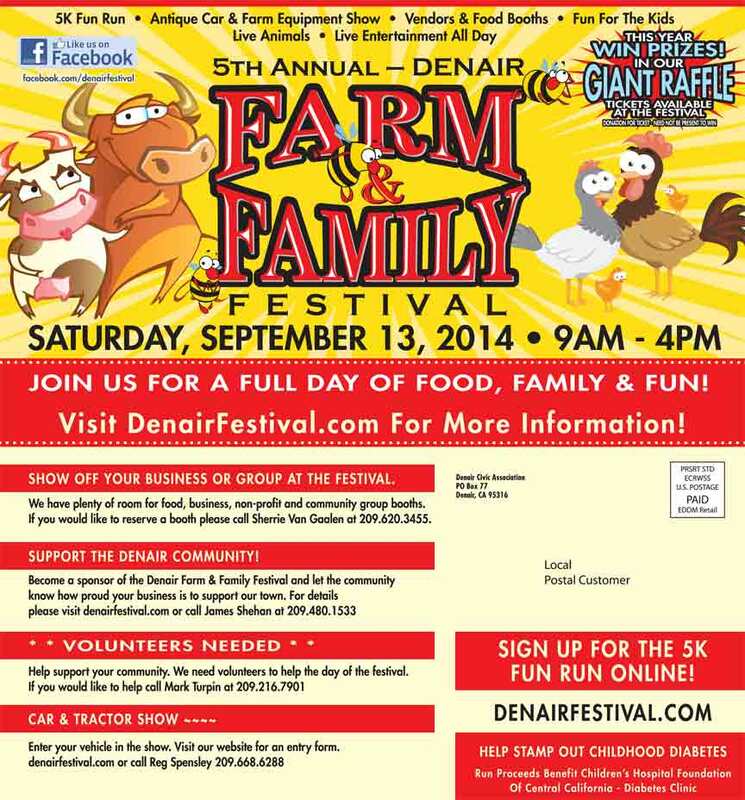 The 5th Annual Denair Farm & Family Festival is scheduled for Saturday, September 13, 2014, from 9:00 am to 4:00 pm. This year’s festival should be bigger and better than ever! There will be over a hundred vendors for crafts, services and food, a huge kids play area with bounce houses, rides and more. Additionally, there will be an antique and classic car show, as well as entertainment, all day long on 2 stages. The day of fun kicks off with a 5K fun run to help stamp out childhood diabetes. 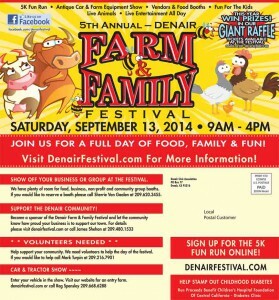 For more information and to register for the run, visit the Denair Farm & Family Festival web site. Jennifer Clark Skonovd liked this on Facebook. James Shehan liked this on Facebook. Grandma’s Treasures liked this on Facebook.